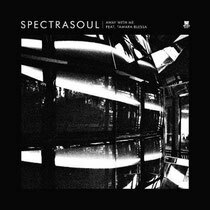 The final Spectrasoul single before their debut album drops has arrived and it may be set to cement the duo as one the most exciting and most talented production outfits currently spearheading the multi-genre movement. Jack & Dave (Spectrasoul): "As a production outfit, we have always striven to write a wide variety of music, and with our album project we have grasped the opportunity to finally showcase and include the full range and diversity of our work. ‘Away With Me’ is the second single taken from our forthcoming album, ‘Delay No More’, and it stands as a statement of intent. It is a reflection of where we've been, a glimpse of the here and now, and a sign of where we're going musically. It's actually a great and useful piece of information. I'm glad that you simply shared this useful info with us. Please keep us up to date like this. Thank you for sharing.